30 years strong, the BlueRibbon Coalition (Sharetrails.Org) celebrated the successes of three decades of hard work by holding a Signature Event at Pirate Cove Resort Feb. 24-26, 2017. 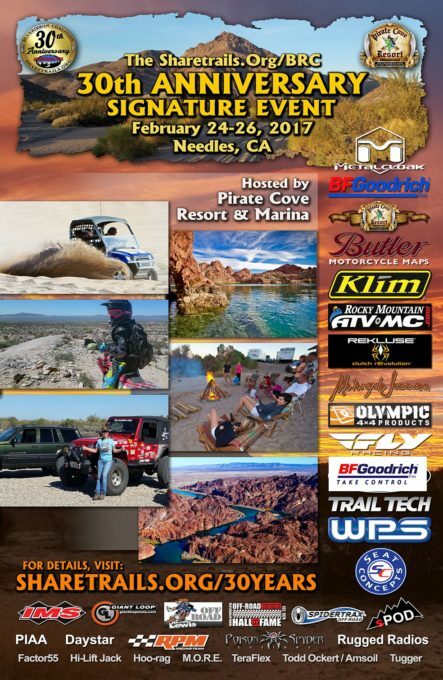 Over 120 registrants and a dozen great vendors gathered near Needles, CA at the famous on-the-Colorado-River Pirate Cove Resort. 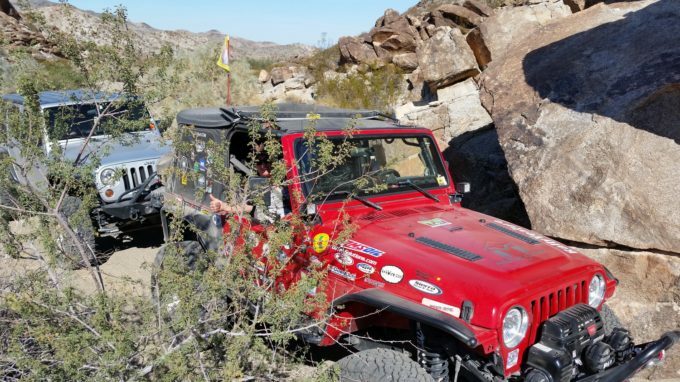 Jeeps, side-by-sides and dirt bikes congregated together, camped at the resort, and had access to thousands of miles of public land roads and trails. 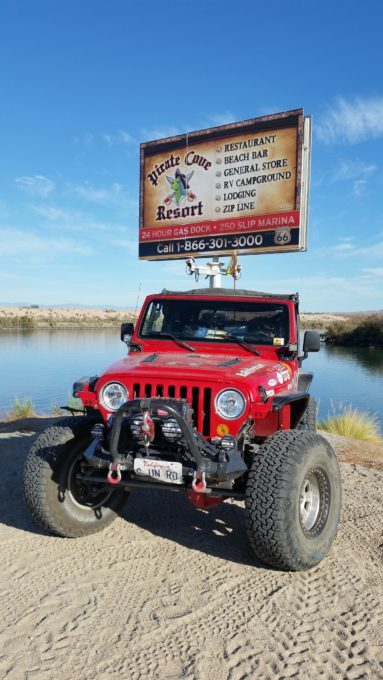 The camping at Pirate Cove Resort was perfect for this event which needed not only training rooms and lodging, but also great river view camping. 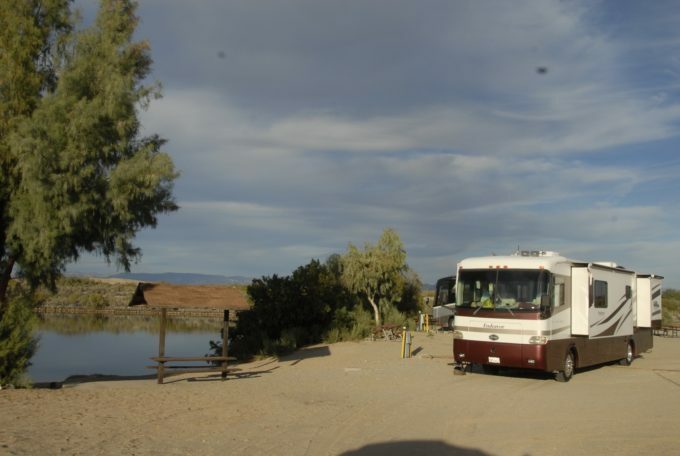 Right from camp you could hit the trails or explore the sand dunes and rugged canyons. 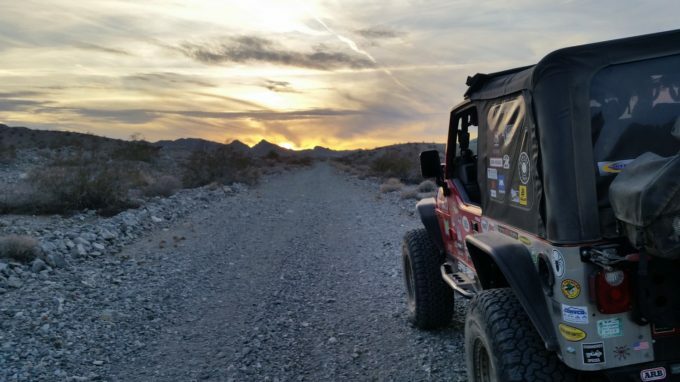 It was also fun getting a Modern Jeeper shot right alongside the Colorado River. 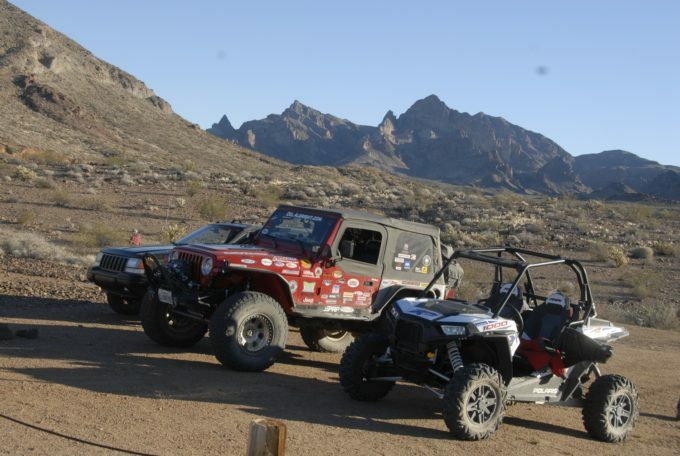 Typical desert four-wheeling was offered to those that wanted to just go explore our public lands. 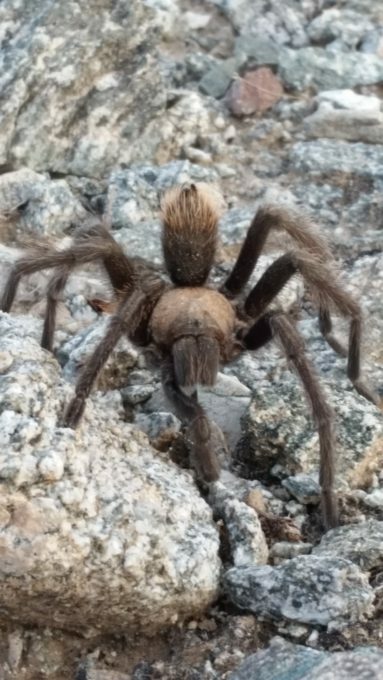 The washes were full of scenery and fun spots. The sunsets around Pirate Cove were spectacular and easy to enjoy away from city lights. 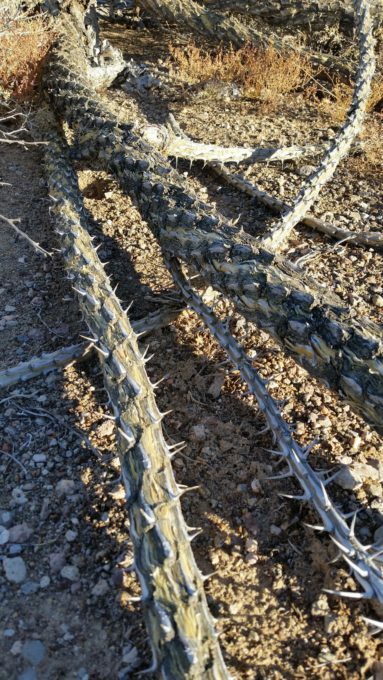 Not far from the event HQ at Pirate Cove, you can find old mining structures and desert history gathering the patina of time. 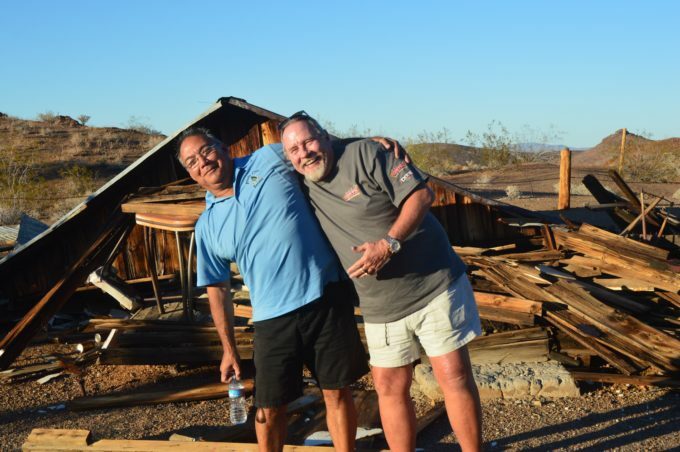 Below is Jim Nakashima (L) who runs the Pirate Cove Resort, and Eric Schanz (R), both of them leaning with the lean of the old mining cabin. Saturday night culminated with a great auction, silent auction and fun time raising money for land use. Sharetrails could not exist or do what they do without great business partners like those who stepped up to support the Signature Event 30th Anniversary.